Eurovision 2015 Split Results: Who did the jury hurt? Since 2009, voting at the Eurovision Song Contest has been split between professional juries and televoting 50/50 and 2015 saw more acts than usual hit by the split as the voting results demonstrate. For the first time in Eurovision history, the winner did not win televoting. Måns Zelmerlöw placed third across televoters with 279 points, behind Russia’s Polina Gagarina on 286 and Italy’s Il Volo who won the televote by a considerable margin on 366. The Italians were hit hard by the juries though, only taking sixth place with 171 and Måns Zelmerlöw benefitted significantly gaining 353 points. Estonia’s Stig & Elina took a big hit placing Top 5 with televoters but only managing eleventh with professional juries. Albania’s Elhaida Dani was also knocked out of the Top 10 by juries who ranked her 26th against televoters 9th place. Armenia’s 22nd from the juries also hit Genealogy hard, cancelling out a respectable eleventh from televoters and landing ‘Don’t Deny’ in sixteenth place. Norway’s Mørland and Debrah Scarlett on the other hand got a huge lift from the juries, placing seventh with them to make up for seventeenth place with televoters. Poland benefitted from a good televote result, managing to lift Monika and ‘In The Name Of Love’ off the bottom spot with professional juries. Despite placing thirteenth with professional juries a nil points from televoters spelt doom and disaster for Austria’s The MakeMakes. By quirk of the system, Ann Sophie scored points under both systems yet failed to gain any in the combined result for ‘Black Smoke’. What do you think about the split results? Who should have done better? Does it need changing? Comments below! Angus Quinn is a content marketer working in London. He's watched the Grand Final since Athens 2006 and stumbled across the semis by accident in 2011. A self-confessed Scandifanboy, Angus follows Melodifestivalen religiously every year. He’s still struggling to get over Rona Nishliu placing 5th in 2012. You can follow Angus on Twitter @angus_quinn17. You can also follow the latest news by liking our Facebook page. I’m Italian, and I don’t like Grande amore, but come on… Il Volo were clearly the winners with an 80 points’ lead in televote. Especially since Italy only gets neighbor votes from Albania and Malta. We were completely robbed by a generic, trashy song that was already forgotten a week after the contest. I’m glad Il Volo conquered the Europeans’ hearts with a song sung in their national language. Hopefully, mediocrity won’t win in 2016! I have listened to Grande Amore for 3 days in a row and despite of the language barrier, I still loved it. I’m not italian but I am dismayed. You have 4 generations on your side, keep it up Il Volo! I’m very disappointed! The juries ruined everything. It’s unfair. For example, let’s take Lithuania. If jury didn’t step in their way, they would’ve taken 4th-5th place in the semi final. Instead, they took 7th. Again, in the final, they placed 18th and not 16th. Opposite goes to Latvia and Sweden who were saved by the juries and not the televoting. It’s slightly unfair and I hope they change the contest voting rules back to 100% televoting. POLITICS. TRULY UNFAIR. Estonia made a big mistake by releasing a video with blood and knives in it. That’s not going to win, whatever people see on the night. But, the performance, especially in Elina’s eyes, was quite spectacularly good. And where did that tear come from? It’s the only tune I cannot get out of my head days later. The Italian song did nothing for me at all and is utterly forgetable. @Daga, You’re a moron to think jury was bribed and now to cry about eurovision ‘used to be this and that’. Given the huge disparity between public and jury, unanimous rejection of Italy in certain countries’ juries, and the huge revenues Warner Music is going to make due to this Swedish victory, it makes me wonder, if some members of the jury had personal ties to that company or had even been bribed. It hurts to see the contest I love, enjoy and look forward to every year being so disrespected by individuals from the jury. Who are the real jury? Us fans, of course. This is a scandal. I am all for the jury but they shouldn’t be able to decide who the winner is. That is for the PEOPLE to decide!!! I will never vote again in eurovision song contest until this problem is fixed and we have no more jury or a jury with much less power! UNACCEPTABLE EBU!!!!!! And I am swedish! The jury should abolished if Eurovision is about bringing together the people of Europe for a bit of fun. Having a 100 member paid elite being able to overrule us and make us look like idiots for wasting money on voting is wrong, even if it is ironic since half of the Eurovision countries are governed that way… No, the song contest is about fun, the Eurovision countries and upsetting fabulously-talented Russian singers! And the semi-finals? Don’t forget the juries single-handedly drove Finland into last place! While I was hoping for second-last just so they can say they beat someone, actually making the Final might have been a bit much. Then again, next to Iceland 2014 making it with an equally incompetent entry? I am not even sure what to think, anymore. Soon, up will be down, and down will be up! @Barcelona get some perspective, it’s just a song contest not a war. It’s attitudes like this that lead to people getting death threats on Twitter. Your comments are unpleasant and unnecessary. So Sweden’s average ranking is 2.54. I’m swedish but I think that Italy won. Austria got 40 pts from the jury and nothing from the audience, so they still ended up with nothing? Germany got points from both sides and yet their final score was zero? Wtf?! Just have a look at who is in the jury. Those so called “experts”. Well, I can only tell for Germany. The front man of a band beaten in the national finals. Is he a music expert? A one-hit wonder singer? Is she a music expert? A rapper… well do I need to continue? Keep the voting 50/50. Either turn the jury into an international one, or add more jury members so one does not have a 10% stake in the final say. Get rid of the ranking rule – this enable jury members to destroy chances of songs which they don’t like. Just go back to 2009 where in a country televoters gave their points, juries gave their points and the country with the most points after being added together gets 12. The ranking formula just makes it too easy to manipulate the voting. Oh, and the EBU needs to ask itself if a 5-person jury should REALLY have 50% of the power to decide the winner. Looking around at other countries’ national selections, I prefer Finland’s UMK voting process, where juries only get 10% say, the public gets 90%. (Yes, I know what the result of that was, but it was really far more democratic and justifiable). For me, the professional jury is wiser than the audience. I support the 50/50 system. Anyway, I’m still devasted about Ann Sophie, The Makemakes, Lisa Angell and Edurne. Eurovision will never be an entirely fair process, the running order is a clear example of that. The jury system is still very important and attempts to ensure quality is a factor. A good song should appeal to the public and experts alike. “Heroes” did do that. Well to everyone, as I said before. It’s important for this competition that a current song wins. Haters gonna hate. At the end of the day Sweden did what Sweden does best, pop music. It’s our pleasure to welcome you back here next year It will be spectacular! Peace out. All has been said. When you see a song like the ones from Italy or Estonia being thoughtfully tanked by juries (do these 2 countries have many neighbours or diaspora? was it “eurotrash? tacky? did they sang poorly? was the composition or orchestration weak? did they perform badly? CAUSE THESE ARE THE CRITERIA! )… something very fishy happened here. And they didn’t even bother to hide it well. Romania was hurt by juries and by whole contest because guys from Voltaj deserved to win! What will happen if IL VOLO will make a restart at EUROVISION but this time they are going as an SAN MARINO’s entry. ?????? And what will happen if they win it really ? The EBU knows very well that this small republic of San Marino will be rejoined by ITALY for the whole organisation for another year and this time 2017 , am I right or not ? I am little bit scarred about Jury’s decisions for another try of Il VOLO at Eurovision. Let’s see what’s coming up next couple of days or weeks. IL VOLO back on a EUROVISION contest stage perhaps I am going to make them an offer and we all come back next year with IL VOLO but not for Italy, it could easily be an official SAN MARINO’s entry for 2016. Wait and see, khehe ! @LL Actually Il Volo’s demo is mostly teens. They’re called Il Volovers (just typing that gave me cancer). But rergardless of demos, according to musical quality criteria, Italy should’ve been first in the jury vote. @Leo see that doesnt change the fact that europe wanted Italy. few points dont change the situation and wont make up for the loss. Italy needs to be declared as the winner – That is what i wish to be told on tuesday. Or another thing could be for them to participate next year. I want not italy, but IL VOLO to win so badly. It’s clear the juries wanted a more modern song and act to win. 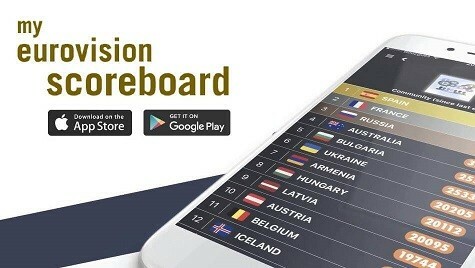 Sweden, Latvia and Belgium all got higher scores than Italy. While the viewers still lived in the old eurovision swamp. So great! 😀 I thought it was going to be the opposite! Some should watch out what they say! That racist comment about albanians cleaning toilets should have been deleted! Albania is not the only country that benefits from diaspora voting and never was the only one to benefit from that! So use your logic before showing how biased you are against my country…this comment is for a certain someone here!